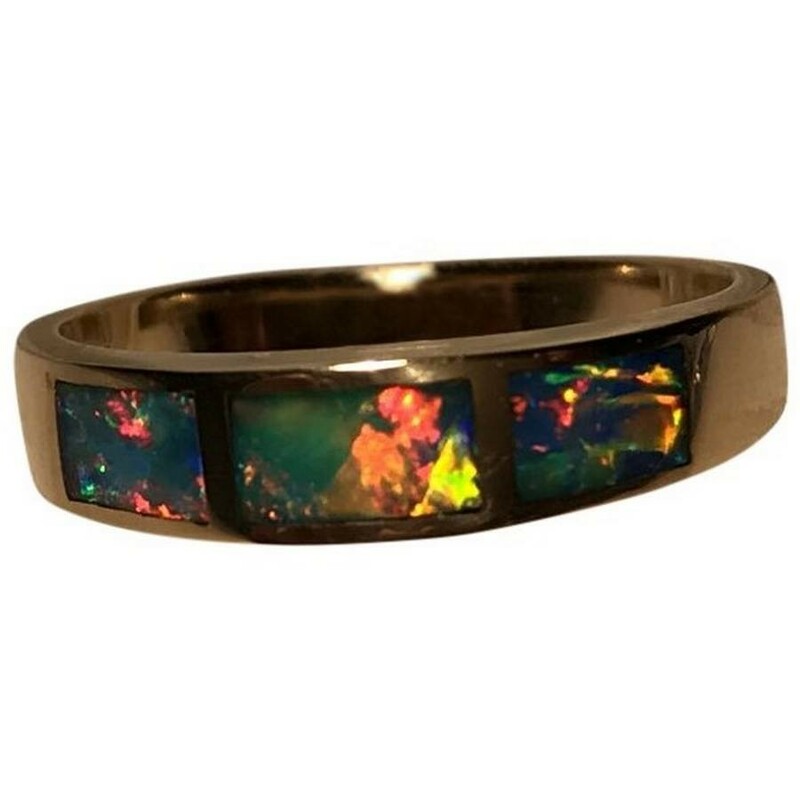 This Opal ring is very bright with a mix of hot colors that will stand out when worn. 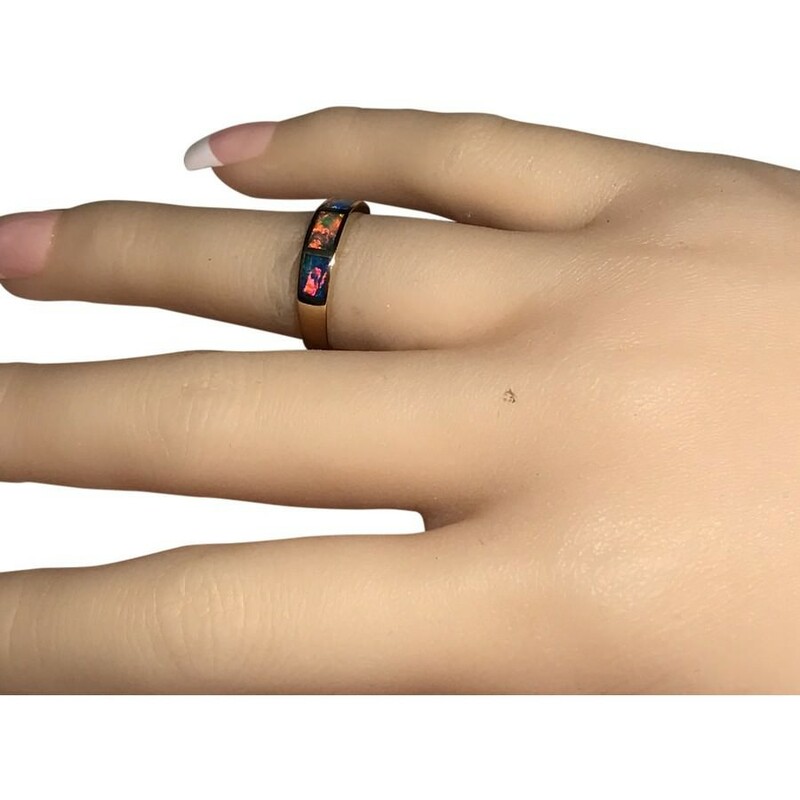 The 14k Yellow Gold band is 4.3 mm wide which is a good width for either men or women to wear and can be worn on its own or with other rings. 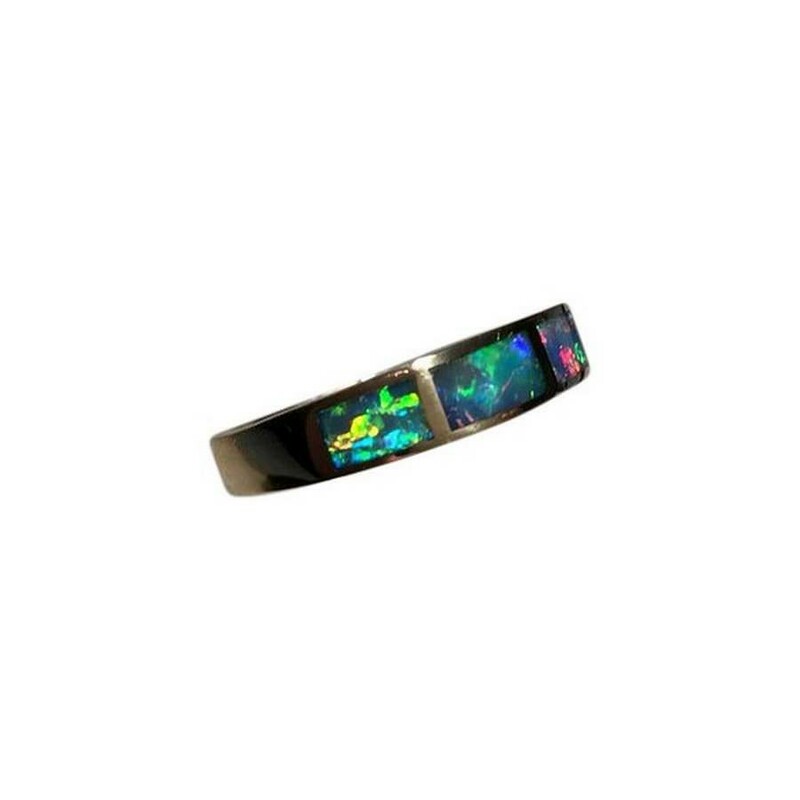 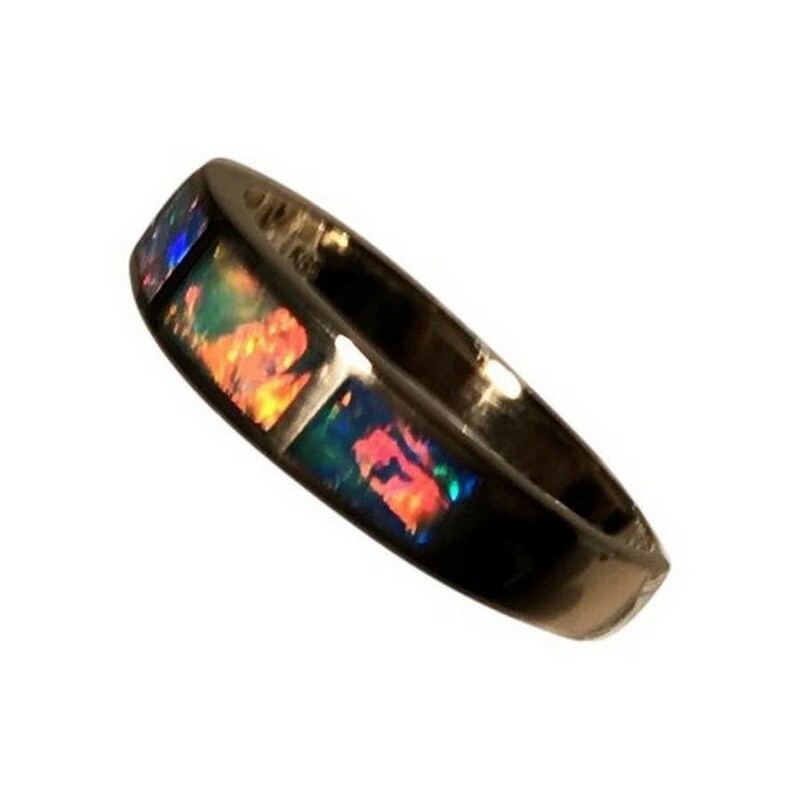 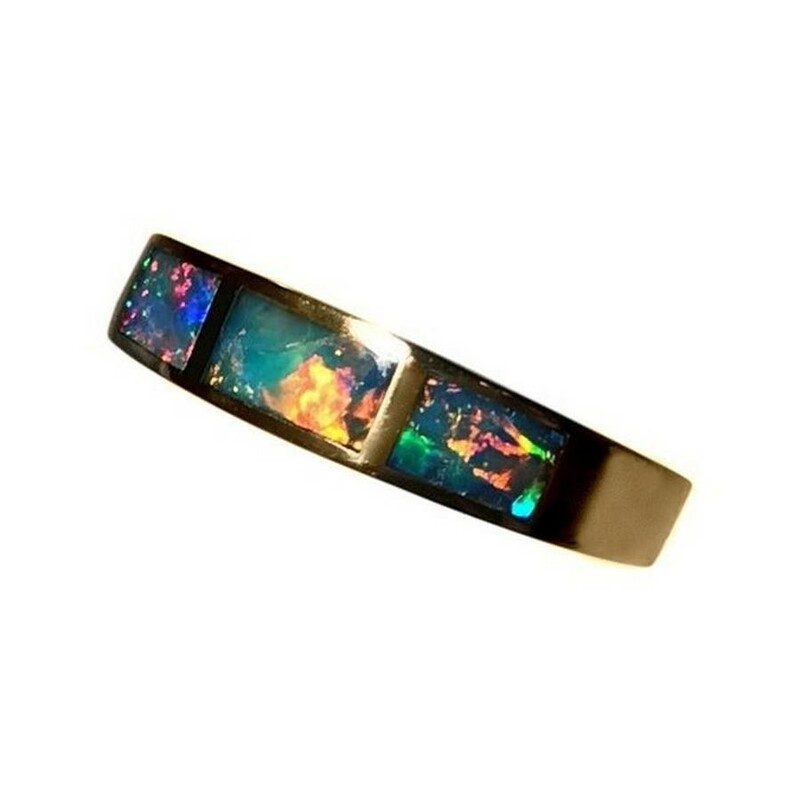 There are three rectangle cut Black Crystal Opals inlaid with precision that flash in a lively play of color and the video below must be viewed to really see the vibrant colors and pattern in the Opals as well as the high shine of 14k Gold. 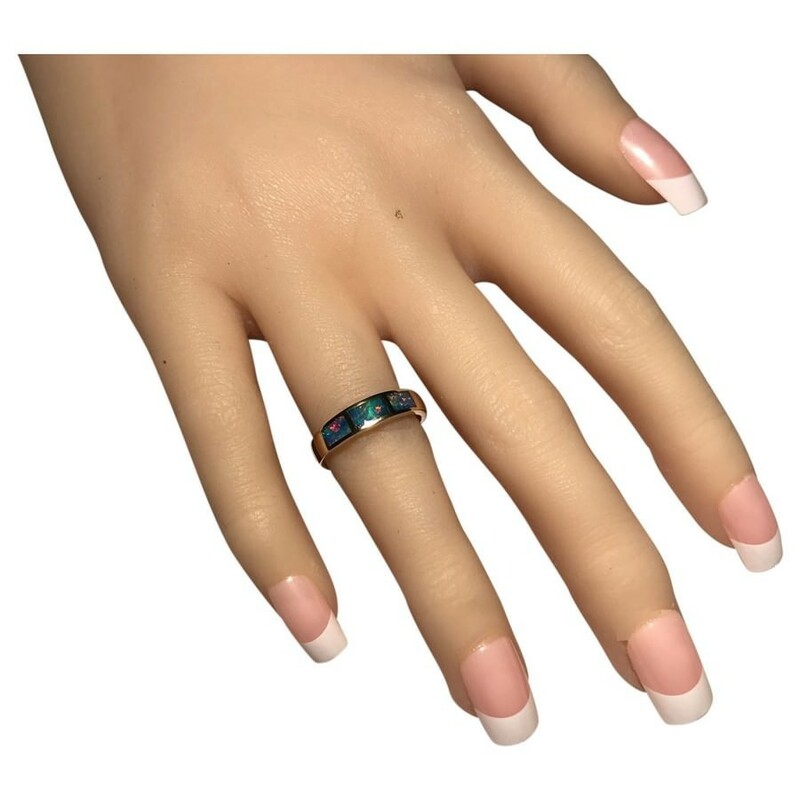 A simple design Opal ring that is ready to ship now.